Phoenix | N-Ray vs X-Ray: What Is Neutron Radiography? Whether you’re dealing with something that’s just come fresh off the assembly line or need to perform failure analysis on a faulty device, nondestructive testing is vital. After all, you can’t always take something apart to verify its quality or find a flaw without breaking it, if you can even take it apart at all. Methods of nondestructive testing range from simply looking at it with one’s eyes to using ultrasound and penetrating radiography to see inside an object without dismantling it. Every one of the many tools in a materials tester’s toolkit has a place and a purpose, but some are woefully underutilized. And by “some,” we’re mainly referring to X-ray imaging’s lesser-known cousin, neutron radiography (since neutrons are our bread and butter), also known as neutron imaging or N-ray. Due to accessibility issues, logistics, and supply risk, neutron imaging can be difficult to take advantage of. Phoenix is changing that. What’s the Difference Between X-Rays and N-Rays? Of course, you’re familiar with X-rays and what they can do. You might have had a bone X-rayed once or twice in your life and probably get X-rays of your teeth once a year at your dentist’s office. X-rays pass through your flesh but stop when they hit harder and denser materials, such as bones or metal, which lets the doctor take a look at your skeleton, teeth, or any metal objects inside your body without having to peel off your skin, which would be impractical. X-rays are also used in airport security to look inside your bag on the off chance that you may be smuggling a bomb or a bottle of shampoo onto your flight. You wouldn’t want to get an N-ray of your teeth, though. While free neutrons have their place in medicine, they play a much different role. Phoenix’s neutron generator technology lies at the core of SHINE Medical Technologies, the only producer of the critical molybdenum-99 isotope in the United States. X-rays are a form of electromagnetic radiation emitted by electrons, the negatively-charged particle in an atom. Their shorter wavelength and higher energy places them higher on the electromagnetic spectrum than the light we can see with our own eyes. X-rays were discovered in 1895 by Wilhelm Röntgen, who named them x-radiation because they were an unknown type of radiation; they’re a very well-known type of radiation today, but that doesn’t stop us from still calling them X-rays. On the other hand, neutron radiation is comprised of free neutrons—that is to say, they are neutrons (particles with no charge) that are not part of an atomic nucleus (which is where they are normally found). Neutron radiation is a byproduct of nuclear fusion or fission. In a fusion reaction, two atoms will combine to form a single atom and leave behind an extraneous neutron that will promptly proceed to run away as fast as it can; for nuclear fission, the opposite will occur and a single atom splitting into two will leave behind an extra neutron that does not belong to either atom. The free neutron flies around at top speed until it decays, which takes about fourteen minutes. X-rays and N-rays are similar in concept, but the way they interact with atoms differ—X-rays interact with an atom’s electron cloud, while neutrons interact with the nucleus—which means that they interact differently with different materials. Neutrons will pass through some materials that X-rays cannot, whereas X-rays will more easily pass through materials that neutrons cannot. As a result, these two radiography methods will both show details you’d overlook if you only used one of them. To put the difference between X-rays and N-rays in simple terms, X-rays are good at showing dense materials within light materials (such as the bones in your arm) whereas N-rays are good at showing light materials within dense materials (such as a metal object with another substance or empty space inside it). X-rays and N-rays are alike in that we have very similar uses for them, especially in radiography. You can shoot X-rays as well as a steady stream of free neutrons at an object in order to see into its inner structure without taking it apart, although neutrons are much harder to both produce and control than X-rays. In materials testing, X-ray and neutron radiography are critical tools in everybody’s toolkit because usually, the components you’re looking at can’t be taken apart. Neutron and X-ray radiography both generally tend to excel where the other falls short. Take, for example, many pieces of equipment used by the US military which have to undergo rigorous materials testing. If there is a fault in a unit of ceramic body armor or the explosive charge used to propel the ejection system in a fighter jet, it could prove fatal. However, X-rays are ill-suited to detect defects in these objects. N-rays, on the other hand, can show many of these same defects that X-rays overlook as plain as day. Aircraft engine turbine blades, munitions, and composite materials (such as wind turbine blades, aircraft wings and fuselages, solar panel substrates for spacecraft, disk brake systems, etc.) are examples of materials that neutron imaging works especially well on. CT, or computed tomography, is common in the medical field (you might have gotten a CT scan of your body at some point in your life), but also sees plenty of use in materials testing. An industrial CT scan will typically use line beam scanning to generate a 3D image of the object in question by generating thin lines of X-rays that take many snapshots of the object at different layers. Once all the layers are stacked on top of each other, a three-dimensional image of the object, inside and out, is the result. CT scanning uses X-rays and thus runs into the same issue of X-rays being good at passing through some materials but bad at passing through others. However, this issue can be somewhat mitigated, depending on the material, by the wider perspective a CT scan gives. Still, neutron radiography has its advantages over computed tomography due to the inherent properties of neutron radiation compared to X-rays. N-rays and CT scanning both have their advantages and disadvantages, and both can complement each other. In some situations, a CT scan of an object may be more useful for materials testing, and in other situations, neutron imaging may provide greater insight. Sometimes a single two-dimensional neutron image can show you just as much as you would see in a CT scan. In some situations, CT and neutron imaging may both be necessary to fully test an object for flaws and defects. It’s also possible to perform a CT scan using neutron radiation instead of X-rays, although the process is far more involved than X-ray CT scanning. A selfie without a softening Instagram filter to smooth everything out is rarely a welcome sight; likewise, an image that shows flaws in whatever you need tested in stark detail might be hard to look at. But as hard as it is, you’re not having neutron imaging done because you want to be spared the truth, ugly as it might be. One specific useful feature of N-rays that sets them apart from X-rays and CT scanning is the way certain materials react to neutron radiation. For example, take gadolinium, a rare earth metal. Gadolinium has a high neutron cross-section. In other words, neutron radiation excites it a lot more than it does other elements, which makes gadolinium a particularly useful tool. By applying gadolinium to an object and then exposing it to neutron radiation, the gadolinium will light up like a Christmas tree in the image produced by the neutron rays. Since gadolinium will typically settle into cracks, pores, and other defects when applied to the object, it will make these show up in sharp contrast to the surrounding material. There’s no material that produces the same effects with X-rays, making this “tagging” feature unique to neutron imaging. Neutron radiography is also the best option when it comes to finding defects in energetic devices, or, in other words, explosives. All explosive devices consist of a lighter, energetic substance encased in a dense metal exterior—which is where N-rays excel. Explosives have many uses beyond simply blowing things up. Small energetic devices act as propellants in devices such as, for example, a fighter jet’s ejection seat, or for a more down-to-earth example, your car’s airbags. It sure would be nice to make sure all of those energetic devices that leave the assembly line have been as thoroughly tested as possible! Unfortunately, neutron radiography, as powerful as it is, is a seldom-used part of the nondestructive materials tester’s toolkit. …Why is it underutilized in nondestructive testing? One of the fundamental issues preventing neutron radiography from being utilized to its fullest potential is practicality. Neutron radiography, for a long while, has depended primarily on the use of nuclear reactors to generate neutrons (we’re working to change that). There are several problems with using nuclear reactors as a neutron source which make this method of neutron radiography difficult to pursue, and as a result, N-rays are not being taken advantage of to their fullest extent. Decreasing numbers of reactors in the United States available for research and commercial use means it’s hard to gain access to research reactors that can perform neutron imaging. The complexity and regulatory burdens associated with using research reactors for neutron imaging make neutron unfeasible for many smaller applications and industries. The cost of reactor-based neutron radiography is rising as research reactors become harder to access. Like most expensive things in life, when you absolutely need it, you’ll do whatever is necessary and pay any price to get it done, but if you can go without it, you will. Limited availability of neutron imaging facilities paves the way for catastrophe should one or more sources become unavailable. Manufacturers who use a single source for nRays could be crippled if that single source is no longer available. If N-Ray radiography is so difficult to access, why bother using it at all? Neutron imaging is a vital part of nondestructive testing because it, along with other forms of radiography, allows you to see the inner composition of an object without dismantling or destroying it (the former might be impossible, while the latter defeats the purpose of manufacturing the part in the first place!) for quality assurance. The current difficulties associated with neutron radiography via reactor make it unfeasible to use for all but the most vital components. For example, think of the turbine blades in a 747’s jet engine. Say you manufacture these blades. If one of them has a defect, the blade could break or melt (yes, you heard us right—turbine blades can melt), the entire engine could fail, the plane could crash, and its passengers could die. Of course, cost and logistics are of no object—you, the manufacturer of the turbine blades, really, really, really need to make sure that the engine your blades are going into won’t explode. Or that if it does, that you at least understand why. Gadolinium’s aforementioned reactivity to neutron radiation plays a key role in testing turbine blades—defects and flaws such as the presence of cracks or leftover ceramic from the manufacturing process show up in stark contrast thanks to gadolinium tagging. Neutron radiography is also crucial for military manufacturing, for similar reasons. We really want a soldier’s munitions or body armor or the explosive charges in a fighter jet’s ejection seat to work correctly 100% of the time, and N-ray is the only form of radiography that can pick up some of the dangerous defects these things might have when they come off the assembly line. Because the cost of not doing so could be astronomical, you must have each of these critical, zero-failures-tolerated components exhaustively tested to catch any structural flaws that could cause serious harm. If you have to rent out a nuclear reactor to do so, you will. …But what happens if you can’t? There are benefits, of course, to using nuclear reactors for neutron radiography. A fission reactor produces much, much more neutron radiation than other sources. As we’ve laid out above, though, there are quite a few issues with relying on nuclear reactors as neutron sources for radiography. Put simply, reactors are becoming scarcer, harder to access, and more expensive. Only research reactors can be used for neutron imaging and there are only a handful of them in the US. Research reactors are typically used by industries that cannot go without neutron radiography, such as turbine blade manufacturers. Unfortunately, because reactors are always at risk of being shut down, there is a risk in relying on them to support these industries. As of 2018, the number of active nuclear power plants in the United States was 60 across 30 states, and in total there are about 98 active nuclear reactors in the US (the vast majority of which are in the aforementioned power plants and are unavailable for neutron imaging since they are, of course, busy generating electricity). That number is declining by the year as nuclear plants continue to be shut down and decommissioned. While power plant reactors are not used for neutron imaging, the research reactors that are used are in danger as well; due to the threat of scarcity, the pricing of reactor-based neutron imaging has begun to increase drastically. Many industries are currently single-source for N-ray radiography and if their source becomes unavailable, they could be crippled. These customers are starting to look for alternative technologies to reactor-based neutrons. Many industries could benefit from neutron radiography becoming more accessible; increased availability and decreased costs associated with N-rays mean that more components can be tested with this powerful technique and more industries can take advantage of N-rays that couldn’t before. Compared to using nuclear reactors, reactorless, accelerator-based N-ray imaging is an overall improvement. There are lower barriers to entry and lower regulatory burdens, lower costs of equipment, and faster turnaround times for imaging. Reducing reliance on research reactors for neutron radiography by providing a viable alternative will make a world of difference for nondestructive testing. So who is providing this “viable alternative,” and where is it coming from? Nondestructive testing stands to benefit immensely from neutron imaging, but current bottlenecks prevent N-ray from being utilized fully. How can neutron radiography become more accessible? That’s where Phoenix comes in. 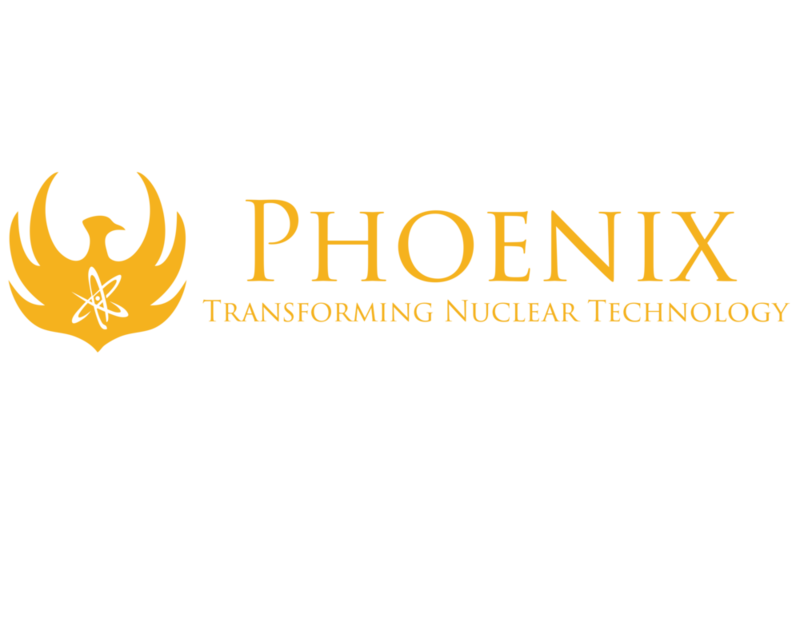 At Phoenix LLC, we’ve been building compact neutron generators (or, at least, compact compared to nuclear reactors) for over a decade. Phoenix’s neutron generators produce just enough free neutrons needed to perform the same high-quality, high-throughput neutron imaging that you’d get at a nuclear reactor. 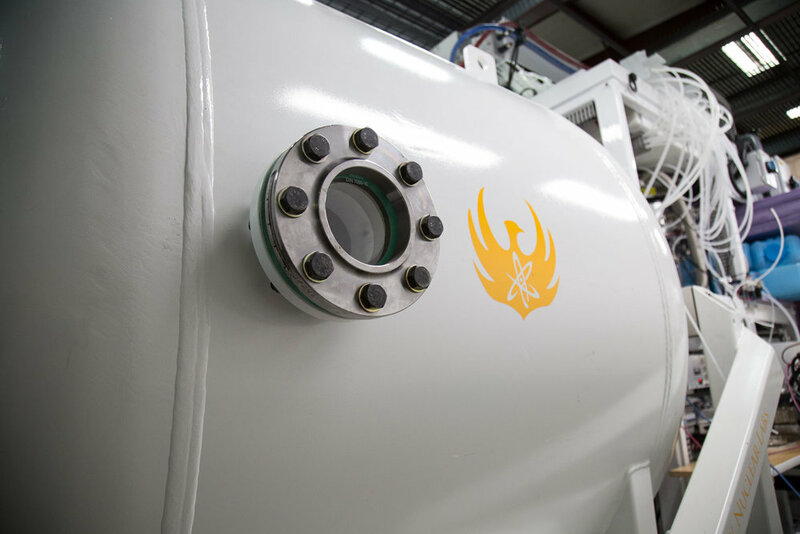 Phoenix has been fine-tuning our reactorless nRay systems since 2012, and now we’re making it readily available to any industry that stands to benefit from it in their materials testing and quality assurance. 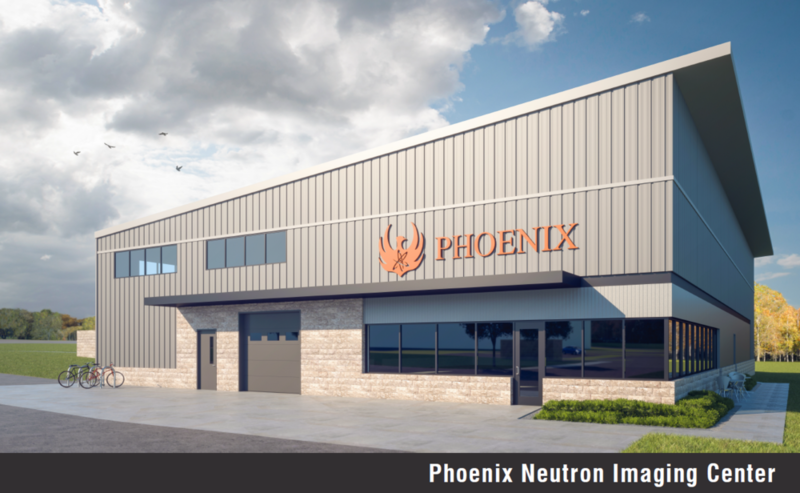 Our Phoenix Neutron Imaging Center (PNIC) in Fitchburg, Wisconsin, which will be able to provide neutron imaging on a commercial scale, is set to open in Fall 2019. Thank you! We’ll get in touch with you as soon as PNIC is open for business. And that’s only the beginning. Our goal is to continue building neutron imaging centers to better serve all of the industries that stand to benefit from access to N-ray technology, drastically opening up the market for neutron radiography. Future neutron imaging center locations can be strategically placed to benefit manufacturers, from aerospace to the automotive industry to defense and beyond. PNIC stands to disrupt the NDT industry by making N-ray so accessible that it could become an indispensable part of any materials testing expert’s toolkit. Struggling to justify the cost of neutron radiography will be a thing of the past—it’ll be harder to make excuses for not taking advantage of neutron imaging. Which Industries Use Neutron Radiography for Nondestructive Testing? At Phoenix, we’ve put our neutron generators to use for plenty of clients from various industries. We’re in a perfect position to show you exactly how N-ray currently benefits manufacturing industries, as well as how advancements in neutron imaging could open up even more opportunities to effectively utilize it. Before it was shut down, the research reactor at the University in Michigan was the auto industry’s go-to source for neutron imaging. The high-volume and low-cost aspect of the auto industry make neutron imaging in nondestructive testing a tough sell; typically, N-ray imaging finds more use in failure analysis and research. In other words, the current drawbacks of neutron radiography prevent it from being fully utilized for preventative analysis as well as failure analysis. However, the growth of convenient and accessible N-ray can make more comprehensive nondestructive testing more feasible for the industry. Imagine a world where neutron imaging is used to help detect flaws in batches of crucial auto parts before they can be installed and lead to life-threatening accidents and expensive recalls just as much as (or more than) it is used in after-the-fact failure analysis. Phoenix has conducted neutron imaging studies with many automotive parts manufacturers to assist them both in failure analysis and in research and development. By expanding our abilities, we help the auto industry expand its possibilities. We’ve mentioned turbine blades, but turbine blades are far from the only parts of the plane in need of rigorous materials testing. Many components need to be exhaustively and rigorously tested to make sure they will do their jobs properly when they’re 35,000 feet above the ground. PNIC can ease the burden on aerospace manufacturers who currently have limited options to choose from for neutron radiography and could suffer severe consequences should one of their sources for neutron radiography become unavailable. With the growth of Phoenix’s neutron imaging centers, aerospace manufacturers’ options will grow as well. Neutron radiography, as mentioned above, is critical to defense manufacturing, where an uncaught flaw in a unit of ceramic body armor or the ejection mechanism in an F-15 can literally be a matter of life and death. N-rays prove instrumental in making certain that the weapons, armor, and equipment provided to our troops function as intended. In general, the military wants its guns to fire when their triggers are pulled, explosive material to blow up when it’s supposed to, and body armor to protect its wearer. For years, Phoenix has worked with defense manufacturers and directly with the US military to provide neutron imaging for nondestructive testing. PNIC is the next leap forward in making nRay radiography, an indispensable tool, easier to use than ever before. In addition to our neutron imaging work, we’re working with the US military to develop NEMESIS, which joins the massive and ever-growing pantheon of military projects with painstakingly-workshopped acronyms for names. NEMESIS involves using neutron radiation to detect IEDs and other hidden explosives from a distance, preventing danger to life and limb. When it comes to the transformative power of PNIC, we could go on and on. In every industry where nondestructive testing is a big deal, neutron radiography is an overlooked, yet powerful method for sussing out flaws and catching potential points of failure. At Phoenix, we’re changing that—radically. Thank you! We’ll get back in touch with you as soon as possible.